Professor Jonathan Turley is a nationally recognized legal scholar who has written extensively in areas ranging from constitutional law to legal theory to tort law. 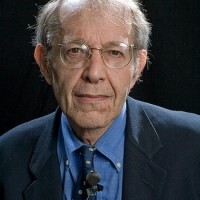 He has written over three dozen academic articles that have appeared in a variety of leading law journals at Cornell, Duke, Georgetown, Harvard, Northwestern, and other schools. His current project is a book on the historical and structural evolution of the United States military for Yale University Press. After a stint at Tulane Law School, Professor Turley joined the George Washington faculty in 1990 and, in 1998, was given the prestigious Shapiro Chair for Public Interest Law, the youngest chaired professor in the school’s history. 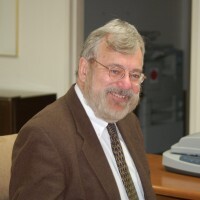 In addition to his extensive publications, Professor Turley has served as counsel in some of the most notable cases in the last two decades. His cases have been prominently featured on CBS Sixty Minutes, NBC Dateline, and virtually every broadcast and cable news program. His litigation in areas ranging from national security law to military law to environmental law to constitutional law appear regularly on the pages of the nation’s leading newspapers and magazines as well as leading legal journals. Some of these past cases include his representation of the Area 51 workers at a secret air base in Nevada; the nuclear couriers at Oak Ridge, Tennessee; the Rocky Flats grand jury in Colorado; Dr. Eric Foretich, the husband in the famous Elizabeth Morgan custody controversy; and four former United States Attorneys General during the Clinton impeachment litigation. In the Foretich case, Turley succeeded recently in reversing a trial court and striking down a federal statute through a rare “bill of attainder” challenge. Professor Turley has also served as counsel in a variety of national security cases, including espionage cases like that of Jim Nicholson, the highest ranking CIA officer ever accused of espionage. Recently, Turley served as lead defense counsel in the successful defense of Petty Officer Daniel King, who faced the death penalty for alleged spying for Russia. Turley has been ranked as one of the top ten lawyers handling military cases. Turley also served as defense counsel in the case of Dr. Tom Butler, who is facing criminal charges dealing with the importation and handling of thirty vials of plague in Texas. He also currently represents Dr. Ali Al-Timimi, who was convicted in Virginia in 2005 of violent speech against the United States. Turley also represents Larry Hanauer, the staff member of the House Intelligence Committee accused of leaking the classified National Intelligence Estimate to the New York Times. Turley has served as a consultant on homeland security and constitutional issues, including the Florida House of Representatives and the American Legislative Exchange Counsel, the country’s largest organization of state legislators. Board of Contributors of USA Today. 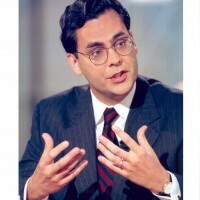 In 2005, Turley was given the Columnist of the Year award for Single-Issue Advocacy for his columns on civil liberties by the Aspen Institute and the Week Magazine. Professor Turley also appears regularly as a legal expert on all of the major television networks. Since the 1990s, he has served four times as the on-air Legal Analyst for NBC News and CBS News to cover stories that ranged from the Clinton impeachment to the presidential elections. Professor Turley is often a guest on Sunday talk shows with over two dozen appearances on Meet the Press, ABC This Week, Face the Nation, and Fox Sunday. Professor Turley teaches courses on constitutional law, constitutional criminal law, environmental law, litigation, and torts. 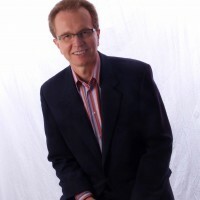 He is the founder and executive director of the Project for Older Prisoners (POPS).